Project Description- In an effort to enhance customer service, save the City and County of Denver money, and eliminate the use of costly paper checks, the Accounts Payable team has implemented the Automated Clearing House form for all new vendor requests. Since January 2013, ACH payments have gone from 0 to 48% of all vendor payments. In 2015 alone, they have saved $49,000 from not issuing paper checks. When asked why they took on this process, the team said it was all about making the delivery of payments quicker, enhancing security, reducing the possibility for lost or forged checks, and reducing the cost of issuing a paper check. 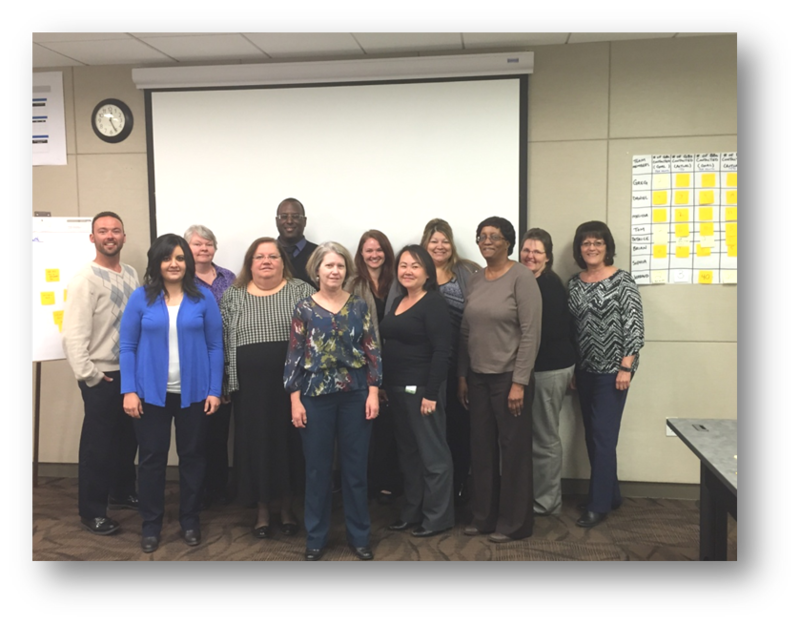 The Accounts payable team has set a goal to have 80% of payments happen via the ACH process by the end of the year. Team member Kendell Hogue said, “It was having the whole team together that made this workshop good. We built our cohesiveness early and jumped in to tackle the issue”. This team is made up of 1 Black Belt and 11 Green Belts, and it’s evident they have embraced a culture of continuous improvement with over 10 innovations in the works. “It’s a journey for us, and we have been working on this process for about a year and a half,” said Black Belt Steven Zsako. This team would love support in bringing vendors on board with this process, and more information can be found on the Fiscal Accountability Rules web page at www.denvergov.org/finance.